Meet our professional tours guide/driver in Moshi town, who will deliver a short safari info briefing, after which depart with lunch boxes to the Lake Manyara National Park. This impressive park is one of Tanzania's most dramatically located wildlife areas, consisting of a massive but shallow soda lake (covering two-thirds of the park) at the foot of the Great Rift Valley's western escarpment. 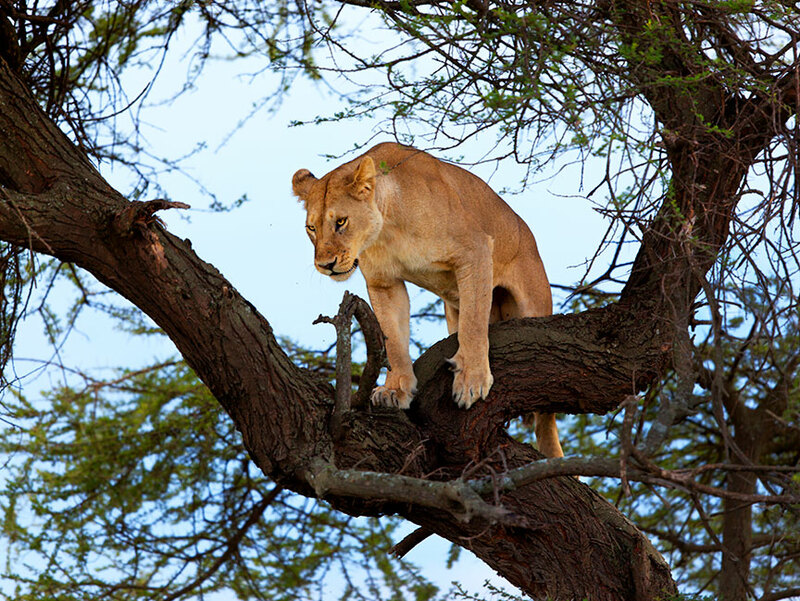 The park's varied habitat attracts a wide variety of animals, including one of Africa's largest concentrations of elephants, Manyara's famous tree-climbing lions, as well as large flocks of flamingos attracted by the algae in the lake. In afternoon you will get lunch at your picinic in manyara after which we will transfer back to Moshi. Upon arrival in Moshi then we will end our African safari adventure. You will be aken to your hotel In moshi which ends our safari services.